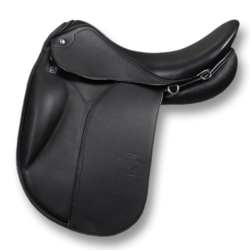 The Aramis is based on a saddle tree which is preconditioned for a deep and comfortable seat and thus offers proximity to the horse and facilitates the precise positioning of aids. 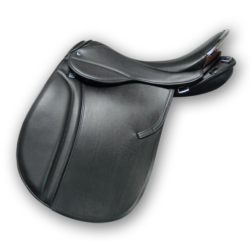 Saddle flap and panel have a comparatively generous forward cut. 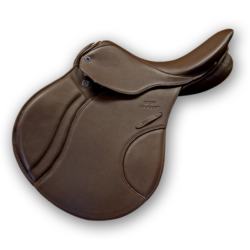 This makes Aramis particularly suitable for riders whose upper thigh is proportionally longer than their lower leg. 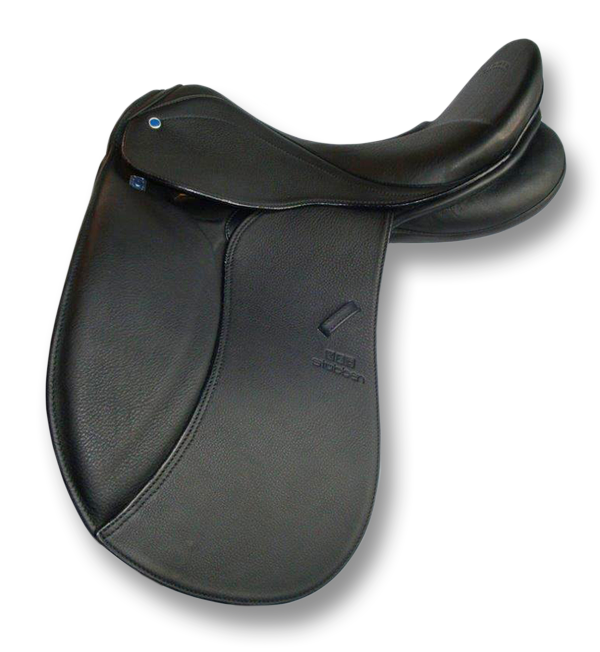 The standard medium elongated knee roll type offers sufficient support, even with horses with big movements. 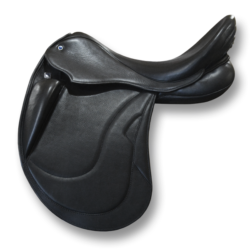 The knee roll can of course be modified on request and at a surcharge.